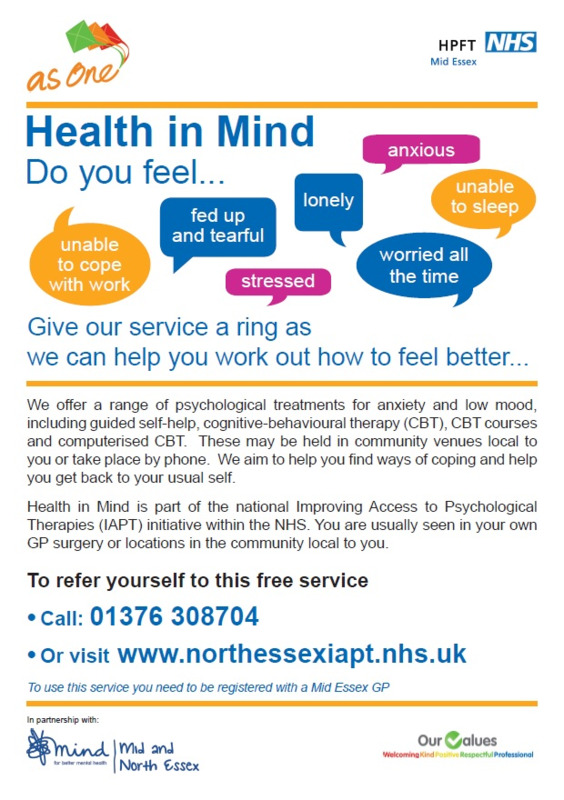 No referral is needed to complete the online programme for patients suffering with anxiety, stress or depression. Patients can access the online support directly with no waiting or referrals. They will work independently at their own pace and at a time which is convenient to them. Patients who require face to face support will be signposted directly onto the Health in Mind pathway.